Welcome to the 2008 Edington Festival of Music within the Liturgy. I have been struck in recent years by how well this festival lends itself to an exploration of the things which so often pass by unnoticed: it is easy in our everyday lives to go through the ritual of liturgy and religious observance without really considering what we are doing. To have a whole week to concentrate on just one thing, therefore, is a luxury which is afforded us all too rarely. I hope that, in choosing The Lord’s Prayer as the theme for this week, we may be challenged anew through Jesus’ words. Each day we dwell on one of the key phrases through music and scripture: the resonances with particular seasons of the Church’s year soon become apparent. So, on Monday, Thy will be done echoes the challenge to the disciples at Pentecost; and Our daily bread on Tuesday resonates with Jesus’ breaking of the bread at the Last Supper. On Wednesday and Thursday we explore Forgiveness and Temptation: the Sequence of Music and Readings on Wednesday evening includes an extract from the writings of John Milton, whose 400th anniversary is celebrated this year, and poetry from his near contemporary, John Donne. Deliverance, on Friday, reflects both the solemnity of Good Friday and also the message of salvation through Christ’s supreme sacrifice; whilst on Saturday we consider Thy kingdom come with overtones of Advent and the Second Coming. Finally, on Sunday, we rejoice in The power and the glory: certainty and joy through the Easter resurrection. I am delighted that, through the continued generosity of the Festival Association, we have been able to commission a new work for this year’s festival. 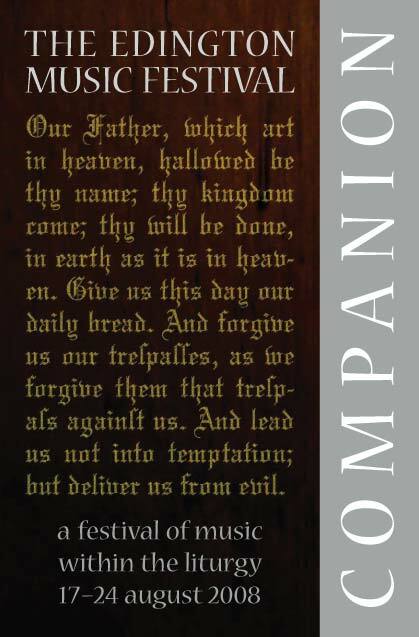 Nico Muhly, a young American composer, has written a setting of The Lord’s Prayer to be sung by the Consort on Thursday: it will be included as a second anthem as part of the prayers in Evensong. We also have a new setting of the Venite by John Duggan at Matins on Friday, and two pieces by Nave Choir conductor, Matthew Martin. As well as the new, though, we are featuring music by John Blow, John Sheppard, Ralph Vaughan Williams and Olivier Messiaen, whose anniversaries fall this year. It will be particularly good to hear Sheppard’s Missa Cantate on Friday, as this is rarely performed liturgically. As always, we have sought to cover a wide range of styles and periods throughout the week, whilst seeking to retain liturgical appropriateness. The spoken word is as much a part of this festival as the music, so it is a great pleasure to have the Right Reverend Stephen Conway, Bishop of Ramsbury, as President and Preacher for Monday’s Eucharist. Indeed, we are indebted to the whole clergy team who ensure that Edington’s unique mixture of music and liturgy is so successfully maintained. As you may be aware, Radio 3 Choral Evensong is scheduled to return to its familiar Wednesday afternoon slot later this year. In the meantime it still has a Sunday afternoon time so, as last year, the BBC will be recording Evensong on Thursday for broadcast as we all travel home. Slightly unusually, therefore, we will be celebrating St Bartholomew’s Day a little early this year but, all being well, we will be back to normal next year! 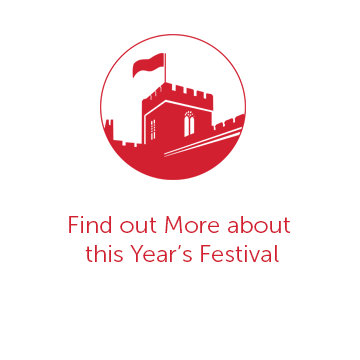 The list of people without whom it would not be possible to hold this festival is huge, but I must particularly mention our festival administrator Peter Roberts, choir directors Andrew Carwood, Matthew Martin and Jeremy Summerly, and organists Ashley Grote and Chris Totney. Obviously, a large part of the organization happens behind the scenes and in advance of the festival week: I would like to pay tribute to Nick Flower, John Barnard, Emily Roberts, Adrian Hutton, Sheila Miles, Peter Norfolk-Brown, Christine Laslett, Joanna Robertson, Robin Wilson, John d’Arcy, Allan Edwards and The Reverend Dr Graham Southgate for all they do to bring everything to fruition. 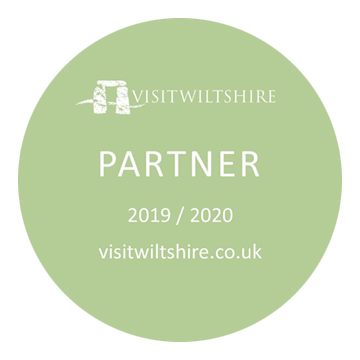 Finally, thank you to everyone who participates in the festival for making it what it is, not least the church community and the villagers of Edington and the surrounding area, without whose support and warm welcome the festival could not happen at all.